Train in the style of Kung Fu that Bruce Lee mastered as taught to him by the legendary, “Ip Man”, which is the basis of Jeet Kune Do! 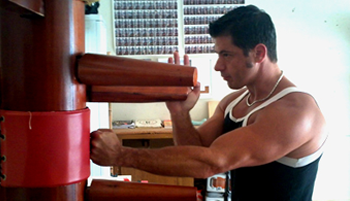 Wing Chun is the ONLY style that incorporates blocking AND punching at the same time, adding to it’s lightening fast, efficient and extremely powerful style! 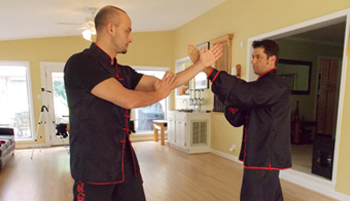 The Origin of Wing Chun Kung Fu can be found in the turbulent, repressive Ching dynasty of over 250 years ago. At that time in Chinese history, the Shaolin Temple was a hotbed of revolutionary activity. 400 years ago when the Manchus took over China. The Elders developed a system designed for REAL-WORLD applications that apply even today. 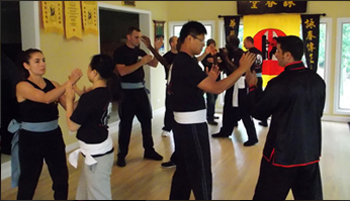 Wing Chun is a close range system that makes extensive use of elbows and knees. We also utilize sweeps and, “Chin-Na” or joint locks. Please watch my first video to see more!